Africa is really in the gray area far as bitcoin is concern, that aside there is a lot going on in the bitcoin space and a noticeable opportunity for business and Investment. Bitcoin is now moving from the early adopters to the early majority and it goes without saying the infustructure required to make bitcoin mainstream is still a long way out. It is not different in Africa; considering most bitcoin startups are based in American, and a lot of progress have been made in Asia, We have not even scratched the surface in Mainstreaming Bitcoin adoption in Africa. A lot of gains have been made in South Africa and a lot of progress is being experienced in Kenya and Ghana. All that aside huge challenges lie ahead, I am going to discuss some of the challenges that Bitcoin will face and how Bitcoin will change the social economic landscape in Africa. The Nokia 1100 is by far the most popular phone in Africa, or at least something close to that. A sizeable amount of Africans can attest to having used this phone or at least owned it, reason being it was affordable and very simple to use. If you were in Kenya you were able to manage your bank account from this phone if you are registered with an M-pesa account. 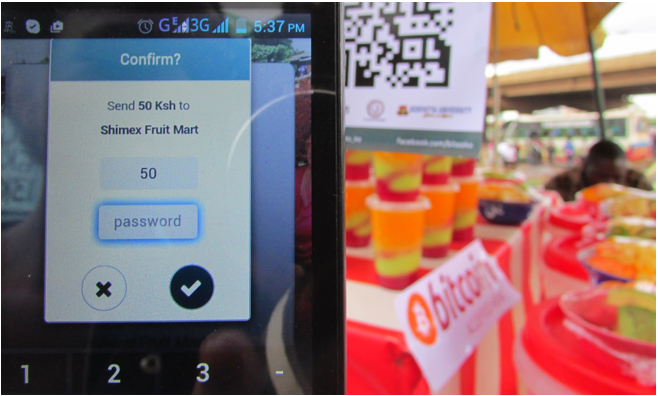 Simplicity and ease of use is crucial to Bitcoin Uptake and use in Africa. The most smartphones sold in Africa have been sold in the last seven years, these are smartphones that the middle and lower class citizens of Africa can afford, thanks to the open source nature of the Android platform, cheaper versions of these phones have been making their way to Africa. This is the reason why over 82% of the African smartphone market belongs to Android For a long time smartphones have always been there but affordability have been an issue, reason being over the years governments have imposes a high tax fee in a bid to raise capital required to sustain government operations. If incentives can be effected around the Mobile end user this will go a long way in boosting Smartphone uptake. With the declining cost of acquiring smartphones, it is a matter of time before smart devices in use reach the critical mass to allow a functional bitcoin ecosystem to sustain itself, the current trajectory is very encouraging. It goes without saying Internet is the Best thing that has happened to Africa as far as tech is concern. Today the internet is in most if not all recognized universities in Kenya and across Africa alike. Thanks to the internet Africa has leap-frogged the first world countries a great deal, we don’t have to wire the continent with copper wired telephone lines across the continent, we have jumped straight to wireless technology, defying the rules of evolution. Similar to Blockchain what it means is Africa will jump the phase of credit and debit cards and straight to Mobile money. It has happened in Kenya and footprints of this chronological events are very visible across Africa. but there is something to be concern about. It is the cost of accessing internet services and the quality of the service. A simple case scenario is a friend of mine Skype in from Detroit, and as we chat along I can’t help but ask why the feed is so shaky, he goes ahead and confirms that he is driving to a meeting In some instances getting to talk over a cellphone when in a moving bus in Africa can be a problem. I can’t help but think how good the quality of the internet could be if you can Skype when driving .He does not complain about my feed but I am accessing the internet from the very few hotspots in Nairobi where bandwidth is never a problem, but it becomes a problem when the public cannot access the same internet quality, and if they can then the cost is very discouraging even to the middleclass given this is a country where 60% of the inhabitants live on less than a dollar a day, and compared to the rest of Africa we are fairly ahead. Quality cheap internet access in Africa will go a long way in boosting Mainstream bitcoin adoption across the continent. 90% of the students in campus across Africa own a smartphone, and are very excited on the thought of being able to send money just as easy as sending a text. So far Bitsoko has organized three bitcoin meetups At Kenyatta university and the number in attendance is always higher than the last one. The Bitcoin news is spreading very fast, and the thirst for more information is growing fast. We have had to set up a temporary blog where students can find out more about bitcoin, when our next meetup will be and how to use the Bitsoko App. Innovation is always and has been ahead of legislation, Africa is singing the same song but with a twist to it drug smuggling and terrorist financing have always been a concern. Corruption have been institutionalized in government and corporate entities and it has had a systemic reaction money sent to charity projects in Africa through government accounts are confiscated and treated as private property this money is then used to pitch communities against each other by rewarding (giving funds to friendly communities and denying other communities that are perceived as not loyal to a certain cause), we all know what happens when a politician is in charge of a project, And everyone wants a cut. It gets worse when private institutions trying to receive funds for drought relief and epidemics are discredited undermined and shut down on the pretext of duplication of duties among other reasons that are not linked to competence or failure to perform. We can bury our head in the sand and say otherwise but this things do happen, it is a problem of centralization and I have witnessed. But there is light at the end of the tunnel Bitcoin has the potential of changing all that. The ability to send money from anywhere in the world to a starving community without the intermediary of politicians government officials and controlled relief institutions will change the very definition of Africa relief , Bitcoins disruptive nature comes into play. 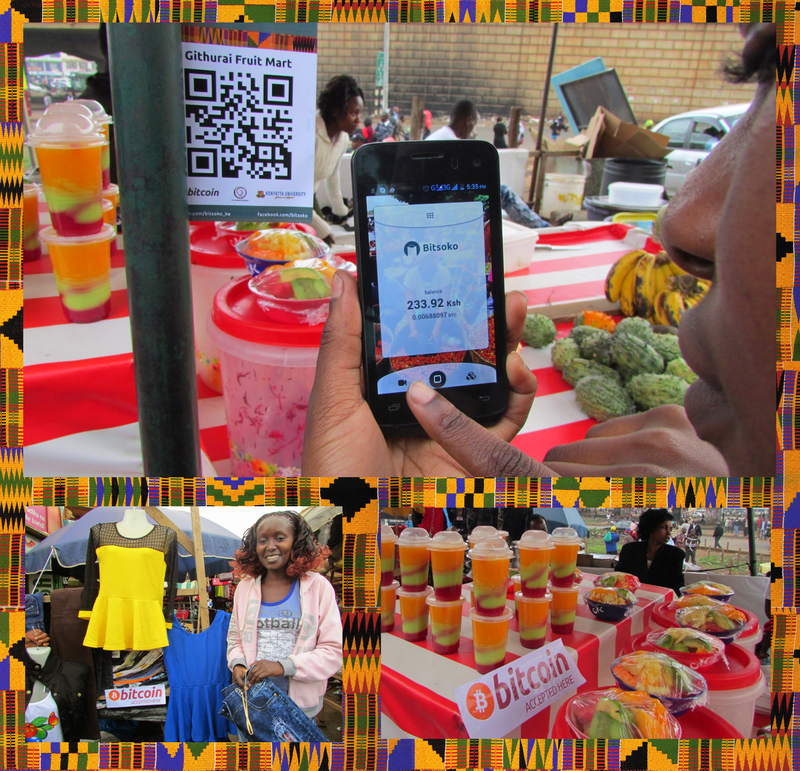 Bitsoko which is a bitcoin wallet built for Africa and by Africans is a startup based in Kenya that is planning to change all that. Bitsoko is working on a model where communities in remote locations in Africa can put their projects online and crowd fund their projects Eg water projects for communities, farming inputs among others. Well-wishers from across the globe can contribute to the the project of their choosing without need for government involvement. This means managing crisis such as the recent Ebola outbreak will be a manageable affair. Government and regulatory legislation will only impede the growth of bitcoin, attempts to control and limit use of bitcoin will lead to bitcoin ecosystem moving to countries where legislation is most friendly to the bitcoin ecosystem and as usual technology will follow the path of least resistance. Everything said and done Africa stands to benefit most from this disruptive technology because of the amount of money being sent back home as remittance and Investments moreover Remittance and money transfer is a billion dollar industry. And It is important to secure the whole process from bureaucracy and overregulation, this should be the focus of African legislators. Blockchain as a system of trust is really the future of everything, and for the first time Africa as a whole has a threshold in innovation and this is an opportunity for Africa to innovate with the world, and not wait for solutions from elsewhere. I stand corrected but the number of innovation related startups across Africa has been on the rise and Africa is breeding more home grown talent.